Gold Plated Memory Wire Bracelet Size 12 loops D 2.25''. 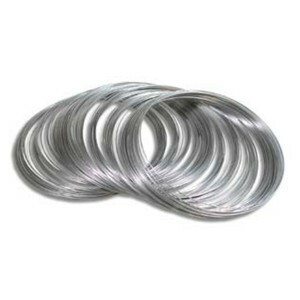 The plating on BeadSmith’s stainless s..
Gold Plated Memory Wire Necklet, 12 loops, D 3.6'' - ideal for threading beads onto - will keep its ..
Silver Plated Memory Wire End Caps 3mm. ..